EXCEPT FOR diplomats posted abroad, early voting isn't an option in Israeli elections. So when Israel's election day dawned on Tuesday, with impressions of the campaign's home stretch fresh in voters' minds, no one in the country had yet cast a ballot. The giant pre-election rallies in Tel Aviv, the final flurry of ads, the polls showing the main opposition party in the lead, the prime minister's unexpected repudiation of a Palestinian state: Together Israelis had taken it all in, and together Israelis would put it all to a vote. That experience of a collective Election Day is one that voters in the United States used to take for granted. No longer. 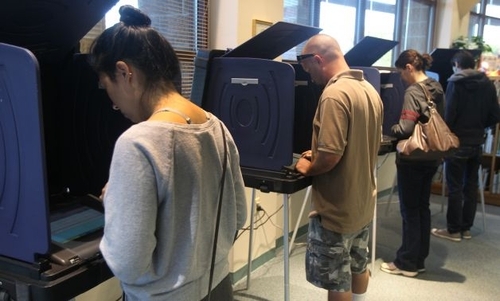 Over the past two decades, early voting has become routine in American elections, with citizens in 36 states and the District of Columbia permitted to cast their ballots well in advance of Election Day, either by mail or at early-voting polling stations. In 2012, according to the United States Election Project at the University of Florida, at least 32 million votes were banked early, a whopping one-fourth of all ballots cast nationwide that year. Other calculations range even higher: A presidential commission on election administration reported last year that the number of votes cast before Election Day in 2012 was 47 million, nearly one-third the US total. Is this wise? Does the metamorphosis of Election Day into Election Month strengthen the machinery of democratic self-government? Plainly, many Americans think so. "Whenever we have a law that expands access to the ballot and makes it easier for people to register and to vote," former Massachusetts Governor Deval Patrick said last year after signing a law to authorize early voting in the state beginning in 2016, "it makes our democracy better." Except that it doesn't. At best, it only makes it more convenient — and that convenience comes with downside tradeoffs. First, far from motivating more citizens to participate in elections, early-voting laws actually decrease turnout. Researchers at the University of Wisconsin, in a study published in the American Journal of Political Science, have shown that early voting "lower[s] the likelihood of turnout by three to four percentage points." Why? Because by dragging out for weeks what had been the concentrated, communal experience of a single decision day, early-voting laws wind up "dissipating the energy of Election Day" and "reducing the civic significance of elections for individuals." The Tuesday after the first Monday in November used to be a climactic moment when the nation turned out to choose its leaders. Now it's merely when the voting stops. A second tradeoff, even more unfortunate, is the loss of informational equality. In some states, the early-voting window opens more than six weeks before Election Day — a month and a half! Think of what can happen in the last 45 days of a campaign: a high-stakes debate, an outrageous gaffe, an international crisis, a late-in-the-game promise, a surge of momentum, a demoralizing admission, a spectacular endorsement. "Early voters are in essence asked a different set of questions from later ones," argued Eugene Kontorovic and John McGinnis, law professors at Northwestern University, in an essay in Politico last year. "They are voting with a different set of facts." That isn't the way to make democracy better. 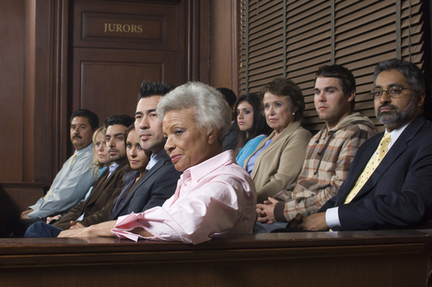 Jurors don't retire to reach a verdict until the trial is over and all testimony has been heard. Shouldn't voters wait until the campaign is over before casting their ballots? Like a jury retiring to consider its verdict, Israel turned out en masse to elect a new parliament — and only after all the testimony was in. No voters had cause to regret a vote cast weeks earlier, or to wish they had known then what they knew now. Israelis don't vote when they decide they've heard enough. They vote, as Americans used to vote, on Election Day. You don't have to look to Israel to know that a campaign's last innings are often the most enlightening or game-changing. Just think of the revelation, days before the 2000 election, of George W. Bush's drunk-driving arrest. Or John Silber's prickly interview with Natalie Jacobson as the 1990 Massachusetts governor's race neared its climax. Or Lyndon Johnson's bombing halt in North Vietnam on the eve of the razor-sharp election in 1968. Or Ross Perot's wild claim, late in the 1992 campaign, of his daughter's wedding being sabotaged by Republicans. Elections are more meaningful when voters act collectively, coming together at one time to make their political choices. We may disagree sharply over whom ultimately to choose, but the choosing should be done when the campaign ends — on a clearly defined Election Day, not a long-drawn-out election season.